Nowadays we use a smartphone and we want to know which network available in my place and also which operator suitable for us. 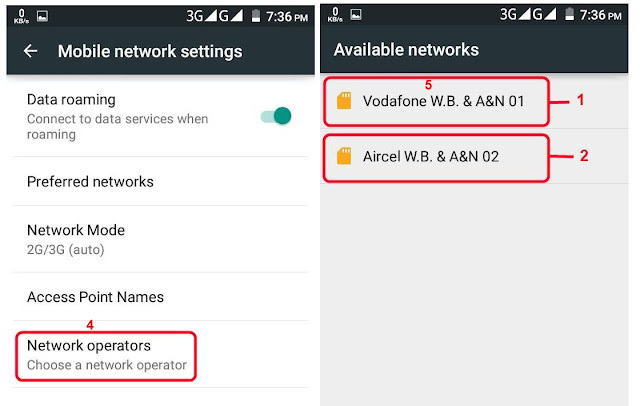 In this post I want to try where which operators are available and also its 2G, 3G, 4G sevices. 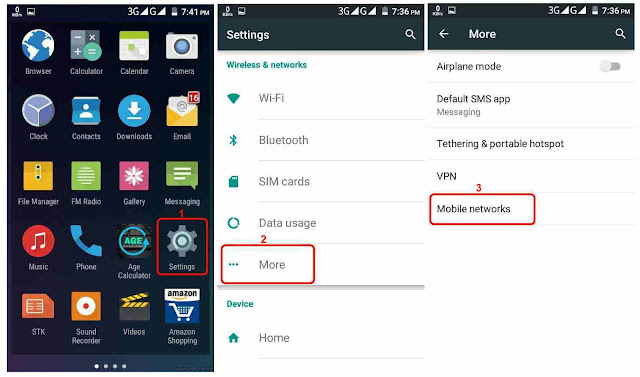 Here I try to give steps or screenshot for searching available network on my mobile. If you want to know which network available on your area then you need to follow the steps. If first time some operators missing then try again for get actual result. 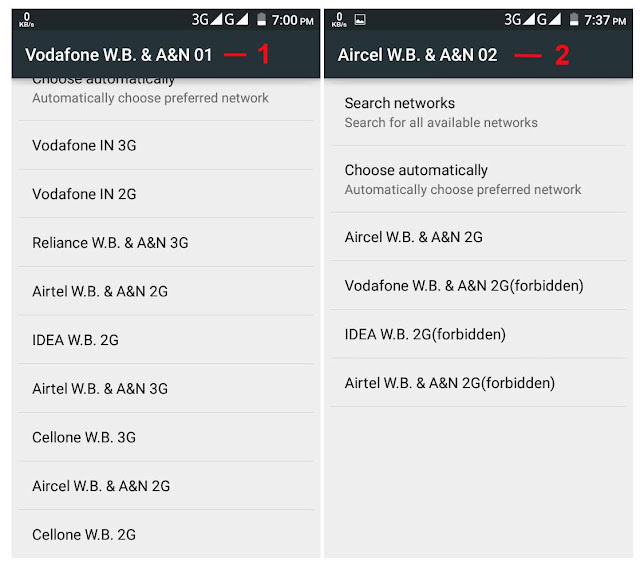 Here you see two types of results but when I select Vodafone W.B. & A&N 01 then I see first result and when select Aircel W.B. & A&N 02 then see second result. Now the question what is real or true and Vodafone is in my first sim slot and its selected for data or internet use. So I think first result is actual available all mobile operator's network. Note : In this post you see screenshots, I use my Micromax Canvas Spark(Q380). Here I use vodafone 3G data. My internet data pack is Rs.147 for 750MB super 3G net. I try this Nalhati TS, Nalhati, Birbhum, West Bengal, India. So you know available network and its services at Nalhati town.